This action is ONLY for residents of Rhode Island. The Rhode Island House Committee on Health, Education, and Welfare will consider an important bill to ban the declawing of cats on Wednesday, Feb. 27. Please testify in person or send a message to your legislator to support House Bill 5073, which would prohibit declaw surgery throughout the state. Declaw surgery is far from a nail trim; it is the surgical amputation of the last joints of a cat’s toes. Declawing is traumatic to cats and can cause permanent damage and chronic pain. Without their claws, cats can have trouble walking and balancing. Discomfort in their feet may cause them to avoid using the litter box. Also, because they may feel unsafe without their natural protection, declawed cats are more likely to bite. These are some of the most common reasons that owners relinquish their cats to animal shelters, where most cats are killed. Declawing is often done to address unwanted scratching behavior. However, many humane and affordable alternatives are widely available such as scratching posts, vinyl nail covers, and deterrent spray. Ask your legislators to support HB 5073 and make Rhode Island the first state in the nation to ban declawing. State Representative John W. Lyle Jr.
As a resident of Rhode Island, I am writing to urge you to protect the health and wellbeing of cats throughout our state by supporting HB 5073. If enacted into law, HB 5073 would prohibit declawing, a painful procedure that involves the surgical amputation of the last joints of an animal's toes. Cats rely on their paws, including their nails, or claws, for behavioral and grooming needs. Their claws help them to protect and defend themselves, and scratching removes dead nail sheaths and stretches and strengthens their muscles. Declawing cats to address unwanted scratching behavior can cause trauma, chronic pain, and lifelong damage. Declawing a cat can result in severe issues. Side effects from declawing can include hemorrhaging, paw pad lacerations, swelling, radial nerve damage, lameness, infections, and chronic pain. Cats who suffer from these side effects may develop behavioral issues such as aggression, biting, and urinating outside the litter box. These are among the most common reasons that cats are relinquished to animal shelters. Scratching posts, spray deterrents, and nail caps are just some of the affordable and humane alternatives available to address scratching behavior rather than declaw surgery. Laws and policies to ban declawing have been adopted worldwide. 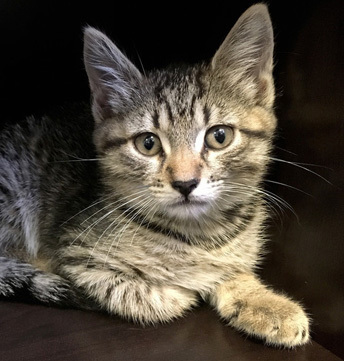 Policymakers in nine U.S. cities, four Canadian provinces, and at least 41 countries have passed legislation and national veterinary policies to outlaw declawing cats and other animals. This year, Rhode Island joins three other states in considering bills to ban declawing statewide. I want our state to exhibit the compassion and values that other countries, U.S. cities, and Canadian provinces have shown by prohibiting declaw surgery. I ask you to support HB 5073 to keep cats' claws on their paws. Yes, I would like to receive periodic updates and communications from Alley Cat Allies.